After winning the bronze medal in the men's high jump T-42 event at the Rio Paralympics on Saturday, the Uttar Pradesh government has announced a cash reward for Varun Singh Bhati. The 22-year-old Bhati hails from the Jamalpur village of Greater Noida. It could be just the beginning of the rewards flowing in for Indian para-athletes who have made the country proud by winning medals at the Paralympics, in Rio. After the Tamil Nadu government announced a cash reward of Rs 2 cr for the gold medallist Mariyappan Thangavelu, Uttar Pradesh Chief Minister Akhilesh Yadav announced Rs. 1 crore for Varun Singh Bhati following the high-jumper’s bronze medal win at the event, reported IANS. Akhilesh Yadav has also praised Bhati for his dedication, hard work, and talent, which has brought laurels to the state and the country and added that this achievement would certainly inspire other athletes to follow his path. 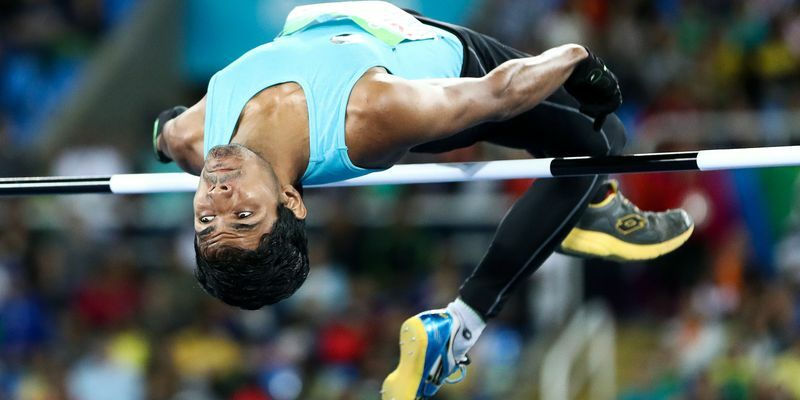 Bhati jumped 1.86 meters in the men's high jump T-42 event finishing third behind India's Mariyappan Thangavelu, who jumped 1.89 meters to clinch the gold while USA's Sam Grewe won the silver medal. After Deepa Malik's silver medal in the women's shot put final on Monday, India have now won a gold, a silver, and a bronze medal at the Paralympics 2016 in Rio.